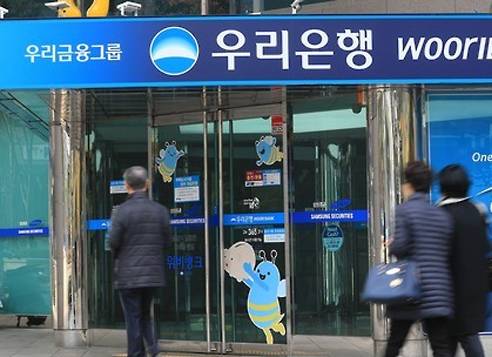 Woori Bank, a major South Korean commercial lender, said Wednesday its first-quarter net profit shot up 43.8 percent from a year earlier due mainly to decreased loan-loss provisions. Net profit jumped to 637.5 billion won ($559 million) in the January-March period on a consolidated basis, compared with 443.3 billion won a year earlier, the lender said in a statement. The bank attributed the rise in net profit to decreased loan-loss provisions, increased noninterest income, and a cut in costs through reductions of employees and branches. It said its interest income came to 1.26 trillion won in the first quarter, up 1.5 percent from a year earlier. Meanwhile, the bank's noninterest income rose to 449.6 billion won from 265.2 billion won during the same period.